Since the start date of 1 July 2017 the NZ Farm Assurance Programme (NZFAP) has already generated a high uptake by processors and producers with a significant level of success. According to RMPP’s project manager Pat Turton nearly 3,000 farms are registered to the programme, over 80% of which have already been audited. The ultimate expectation is for a total farm uptake of around 6,500. At the launch there were six processor members – ANZCO, Silver Fern Farms, Alliance, Greenlea, Progressive and Blue Sky Meats. Since July last year a further 11 companies, including sheep, beef, deer and fibre exporters, have joined, a significant increase over the number originally anticipated by this stage of the programme’s implementation. Commitment by venison and wool exporters, including Pamu Farms, has led to the increased rate of uptake. There are considerable efficiency benefits for farmers from NZFAP which to date have resulted in a 38% reduction in the number of audits which would have been necessary for the farmers involved under processors’ individual schemes. There is also an estimated cost saving of up to 20% for the processors from using the NZFAP system. The greatest significance of the programme is its validation of the Taste Pure Nature origin brand. Only NZFAP assured product can be sold under the Taste Pure Nature origin brand. New Zealand’s overseas customers are universally positive about the transition to a single quality assurance programme which supports claims made about the quality of our products. It is critically important to this country’s goal of feeding the wealthiest segment of the global population that all producers and processors, as well as customers, can have absolute confidence in the integrity of the production and audit process. Turton told me to his knowledge there are no concerns about the content of the standards, either from farmers or customers, although Version 2 scheduled for release in May will incorporate some minor changes or additions to animal welfare standards. Farmers I have spoken to in North Auckland are very positive about their experience with NZFAP and previously their meat processor’s quality assurance programme as well as qualification for the premium for compliance with the programme. 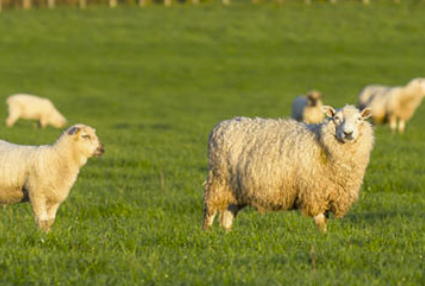 The independent farm audits are the responsibility of AsureQuality which is meeting its overall targets for farm audits. AsureQuality’s Aaron Lambert told me the company has a robust planning process and constantly adjusts recruitment and training to ensure capacity matches the expected supply and demand from the increased programme uptake across different regions. Farms are audited on a rolling schedule over a three-year cycle, although poor farm performance automatically entails a higher audit frequency. In general farmers and processors are pleased with the NZFAP roll out, but as with any new system there have been some teething problems, one farmer expressing some frustration with delays to audit and communication. This problem was backed up by the livestock manager of a more recently joined processor who preferred not to be named, but said the introduction of NZFAP was proving to be a drawn out process for a couple of reasons – farmers ask lots of questions, but may not have studied the NZFAP handbook properly before the first audit, livestock buyers may be slow to hand out the application forms, and there appears to be timing pressure on the audit cycle. However he is thoroughly supportive of the programme, saying both overseas and domestic customers want the assurance it provides. ANZCO’s Grant Bunting also commented on the reluctance of some farmers, particularly in the traditional sheep farming regions of the far south, to be told how to farm. Neil Smith, SFF’s Group Manager Market Access and Regulation and co-chair of the NZFAP governance group, expressed great enthusiasm for the scheme, saying, as one of the first companies to commit, SFF had no problems transferring farmers from their individual farm assurance programme to NZFAP and were about a third of the way through this process. Although there was more recording involved, farmers saw the benefit. When RMPP winds up at the end of 2020, responsibility for NZFAP will be transferred to a new entity because there will still be a lot of hard work to ensure the programme is adopted by all farm operations, old and new. So far, after little more than 18 months, NZFAP has proved it will be an essential tool in support of Taste Pure Nature, enabling production and supply of high quality New Zealand red meat and natural fibre to the world’s highest paying customers. Current schedule and saleyard prices are available in the right-hand menu of the Rural section of this website. This article was first published at Farmers Weekly and is here with permission.